The highest quality Moustache Wax handcrafted in Sicily. Produced in small batches in an artisan laboratory. Take a small amount of the product, rub it between your fingers until it gets softer, now apply the product to your moustache; model moustache with hands until completely absorbed. 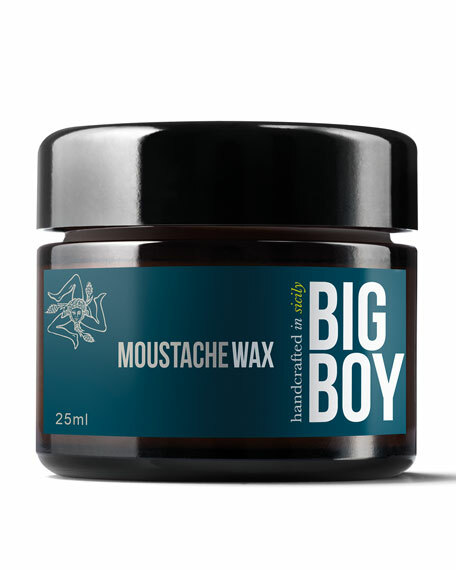 Big Boy Moustache Balm is a natural non-greasy balm with Karité butter and almond oil. With Big Boy Moustache Balm you can keep your beard perfectly modeled for more than six hours. For in-store inquiries, use sku #2380889.